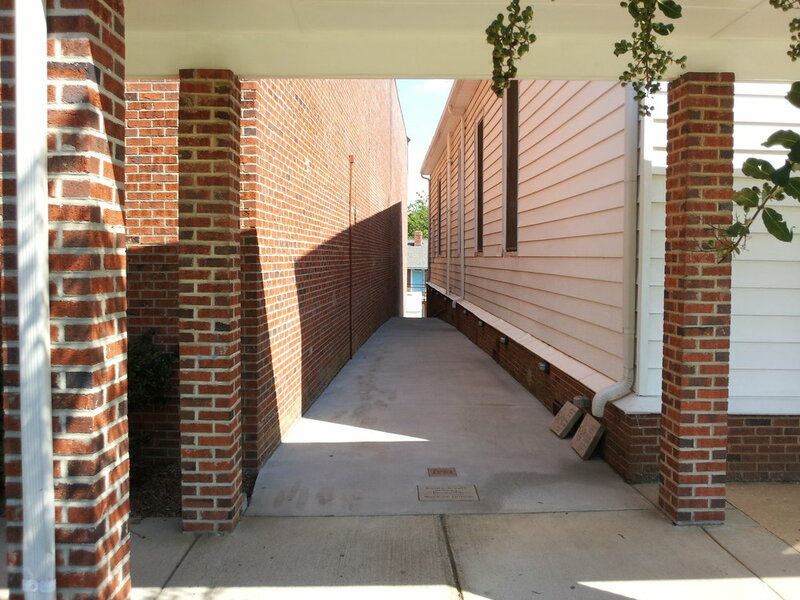 Malcolm Morris from Troop 80, sponsored by the Pleasant Hill Presbyterian Church, built this walkway to create a safe passage for the residents to get to the JPM office, Gym, and Classrooms. This area was closed off with fences, full of trash and poison ivy, and had a very steep drop-off at the far end. The walkway was cleared, steps and lights added for safety. Now families do not have to traverse the parking lot to get to the the buildings. This project was completed in 2007.